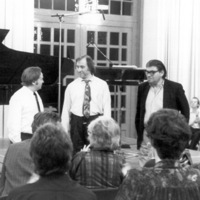 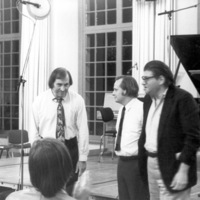 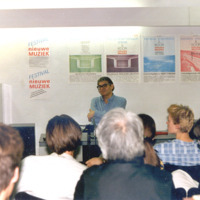 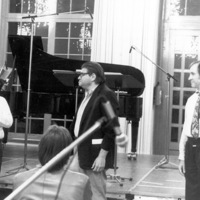 Morton Feldman with Francesco Clemente, and John Lurie, 1986? 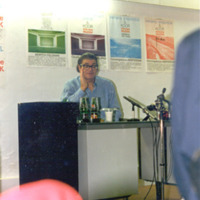 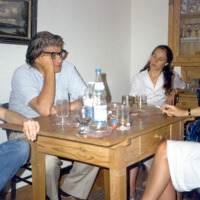 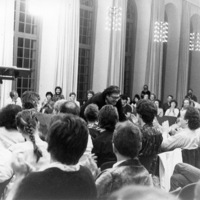 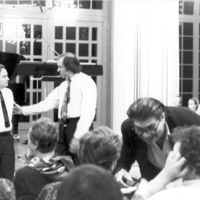 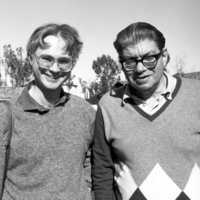 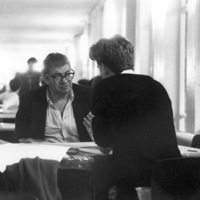 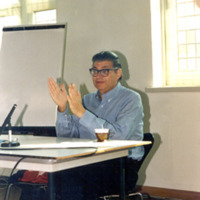 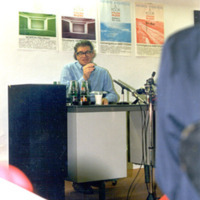 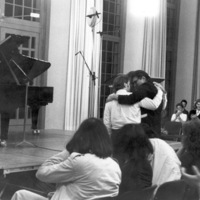 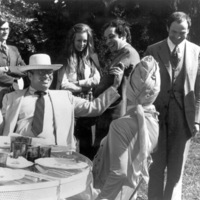 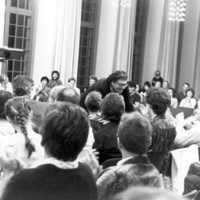 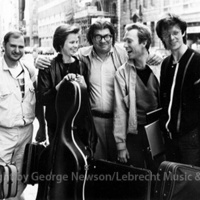 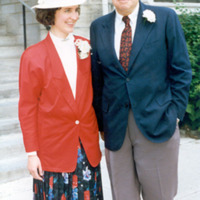 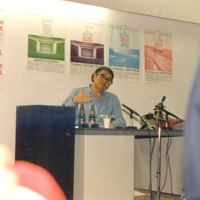 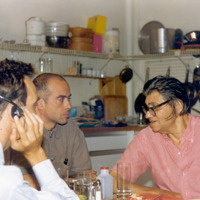 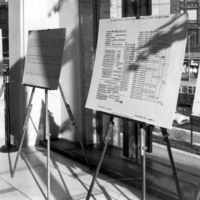 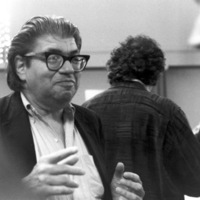 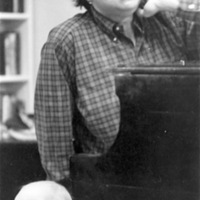 Morton Feldman with Barbara Monk at table, 1986? 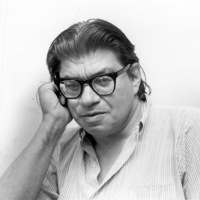 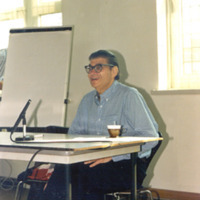 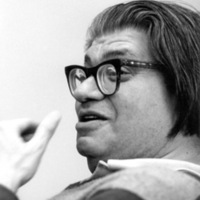 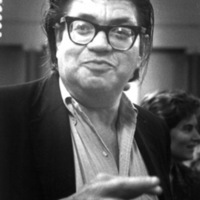 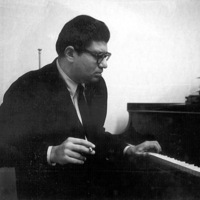 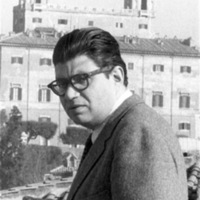 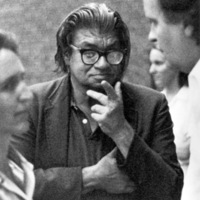 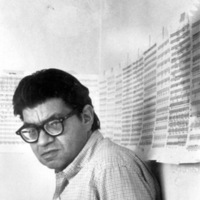 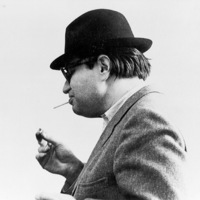 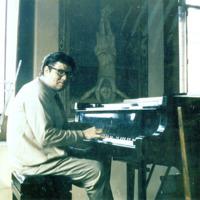 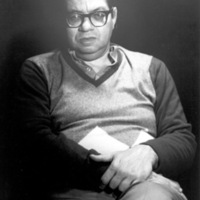 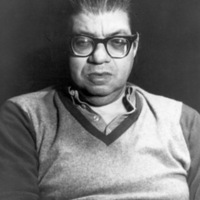 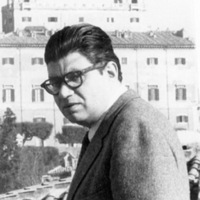 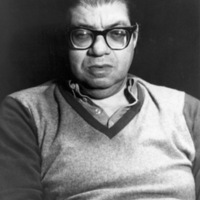 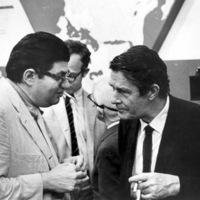 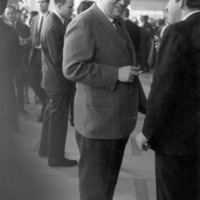 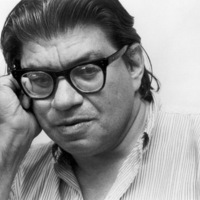 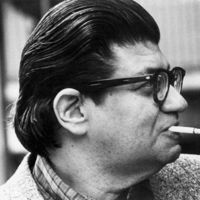 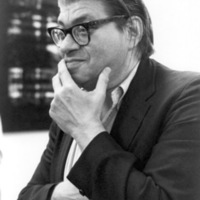 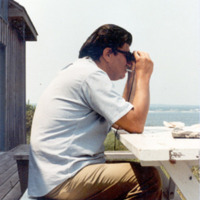 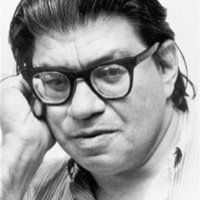 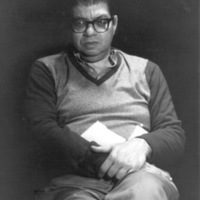 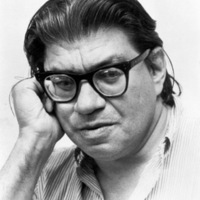 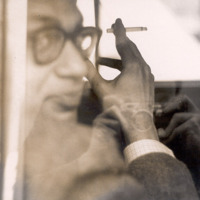 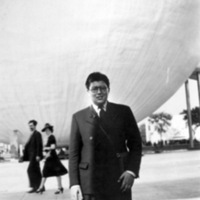 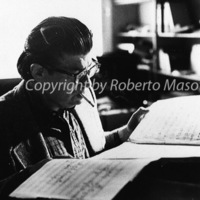 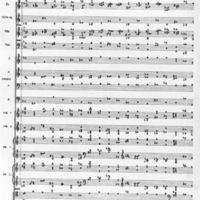 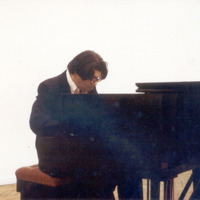 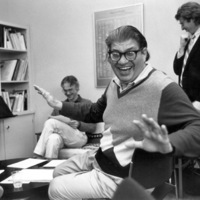 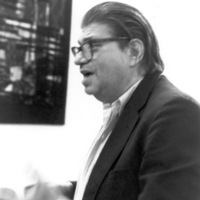 Morton Feldman with binoculars, on Long Island, 1980?